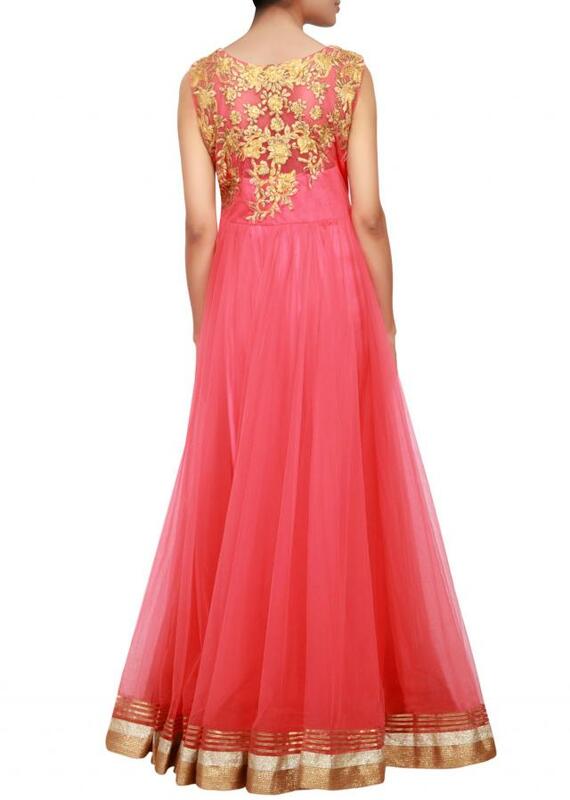 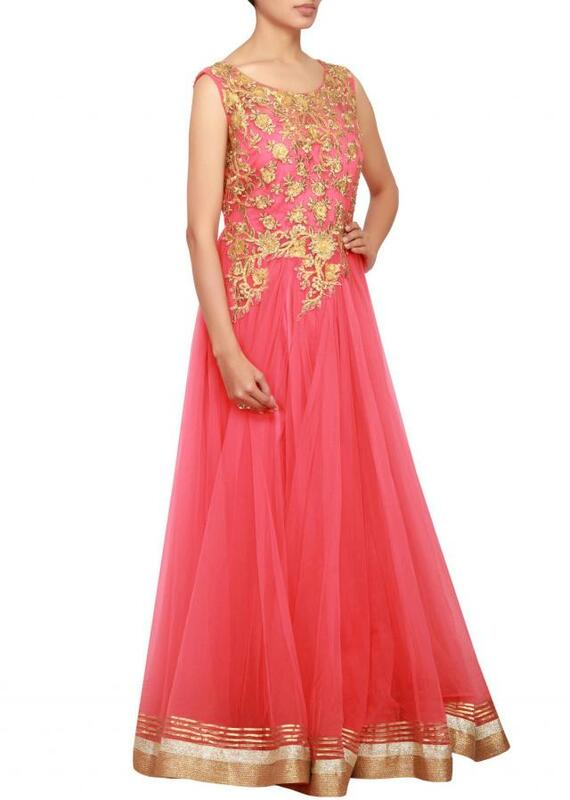 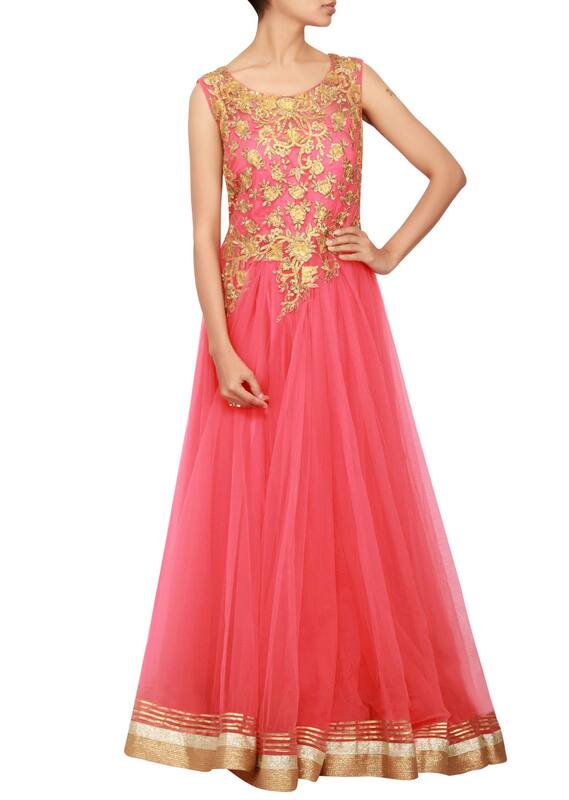 Featuring an anarkali in coral net with bodice embellished in gold zari embroidery and gotta patti. 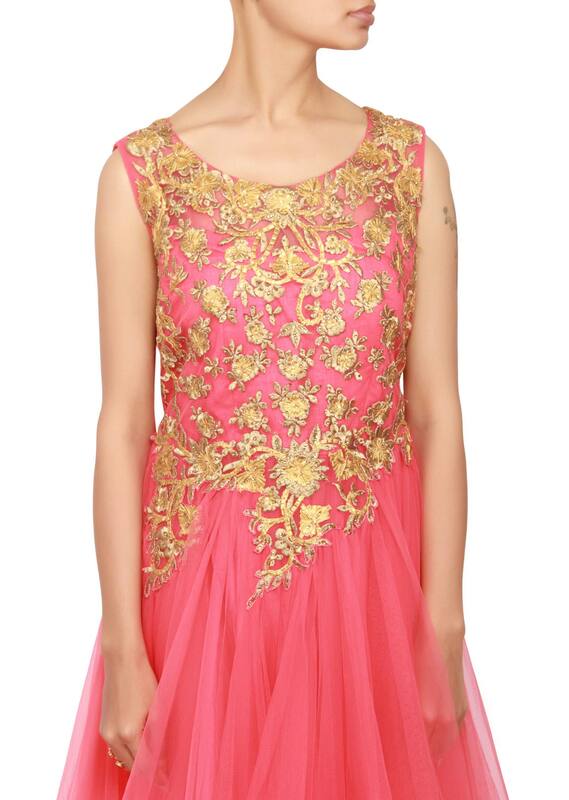 Border is in gold zari. 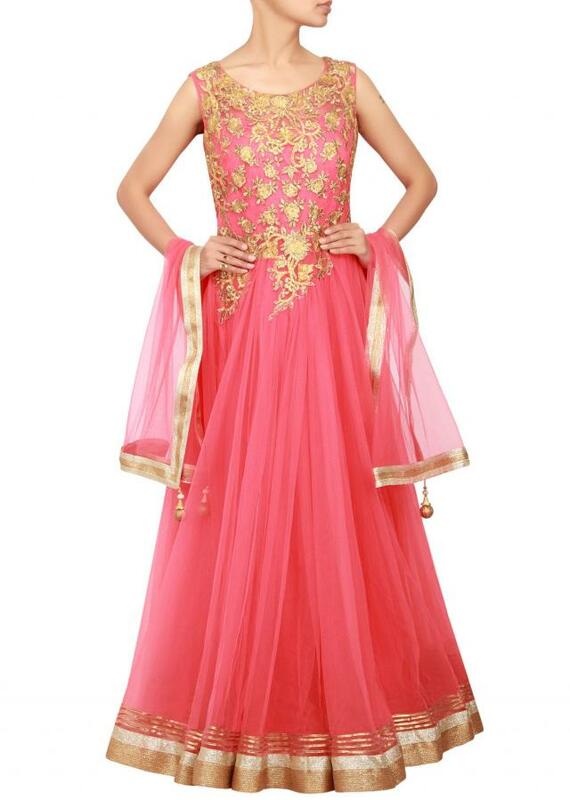 Dupatta is in coral net with gold zari border.